A few interesting Apple Watch stands announced thus far. 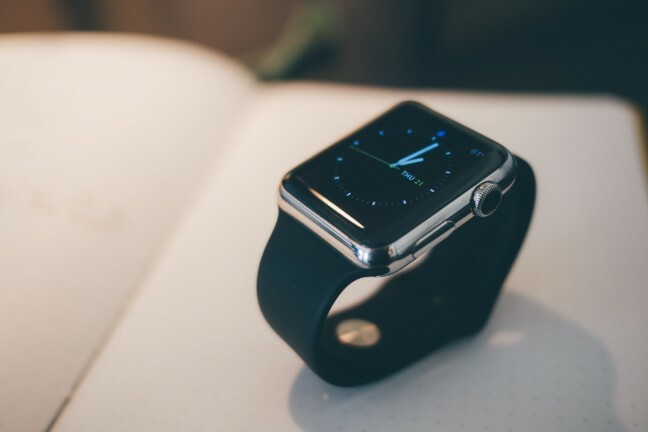 Apple Watch has already drawn the interest of third-party manufacturers. Here are some of the most interesting and well-designed charging stands that have been announced so far. Note: Every stand listed below requires that you use the charging cable included with the watch — they don’t come with their own. The NightStand is an Apple Watch dock that made from medical-grade silicone with a NanoPad on the bottom to keep it in place. It was designed to make the cable easy to install and remove for when you need to travel. It ships with a custom 3M adhesive back if you want to attach it to your headboard or on the side of your desk. It ships May 29th, 2015. 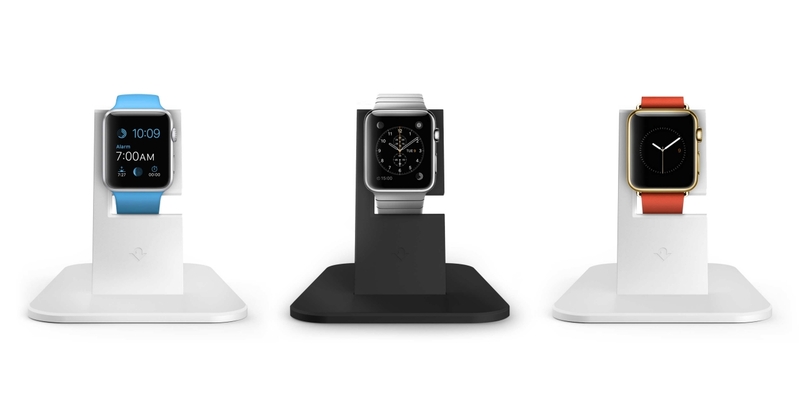 Twelve South has announced they are working on a HiRise Stand for the Apple Watch. Like the original HiRise Dock, it uses your existing charging cable. 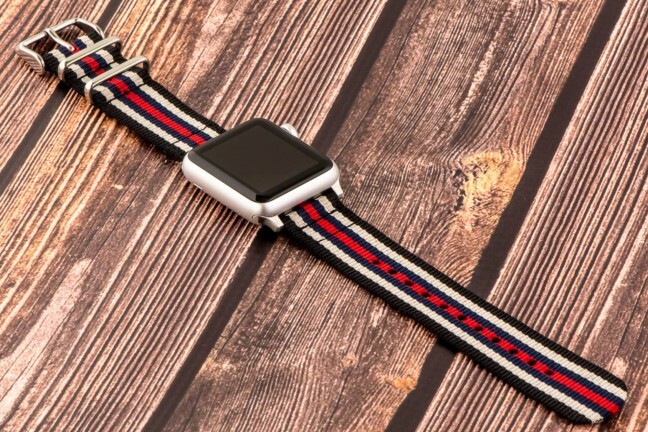 It takes just a second to insert the watch into the stand, and it works with any style band. It will be available in silver or black. Ships sometime in May 2015. 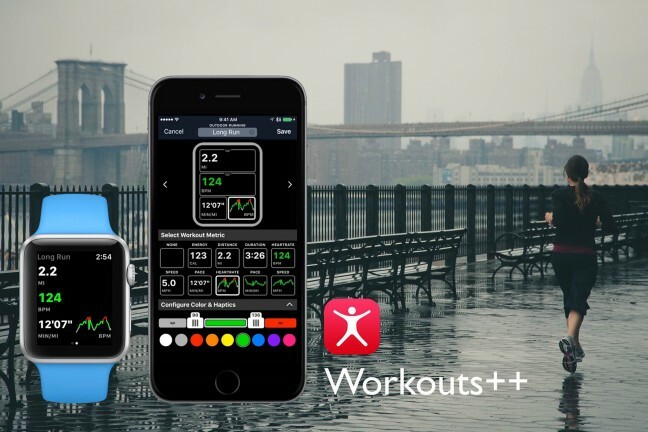 Stand for Apple Watch is one of the more simple approaches we’ve seen. It comes in silver or space gray. The bottom includes of non-slip rubber coating that is laying over the top of a sold chunk of copper. This should make it extremely sturdy. The company behind stand is also building a portable charger for Apple Watch called Pod. 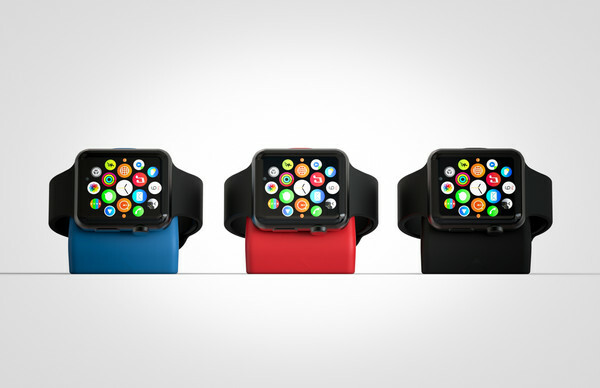 Stand for Apple Watch will ship on May 20th, 2015 for orders placed today. 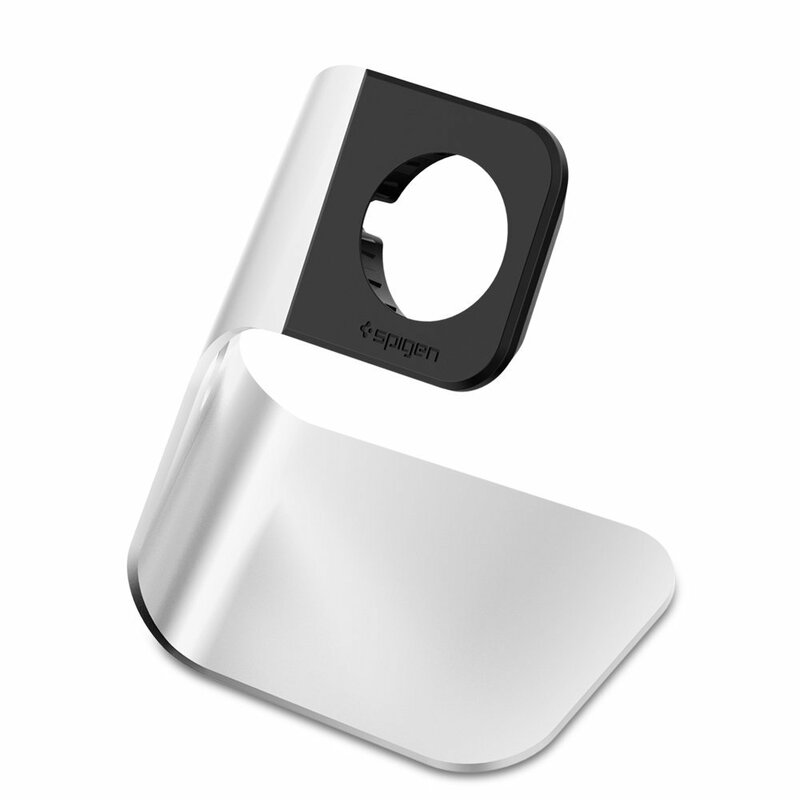 Spigen is a well known maker of iPhone cases, so it’s no surprise they’re now building Apple Watch stands as well. The design of this stand will make it extremely easy to pull the cable out for travel purposes. It’s made out of aluminum, but the actual place where Apple Watch sits is made from rubberized TPU to avoid scratching. This stand ships in May 2015.